That is the conclusion of a new review of different studies on 786,076 subjects in the United States, United Kingdom and Scandinavia between 1970 and 2010. Whole grains have many bioactive compounds which benefit health in general. One is that the high fibre content can increase satiety (fullness) and reduce cholesterol, blood sugar and insulin levels. Many studies show that eating high amounts of whole grains can also reduce diabetes, heart disease and improve gut health. 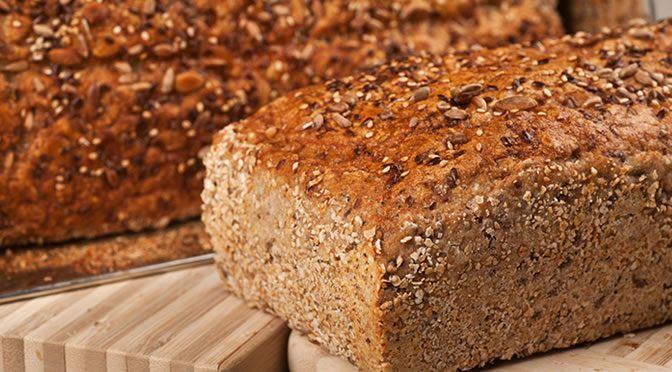 This review found that eating 70 grams per day of whole grains is linked to a reduction of 23% in deaths related to heart disease, 20% lower cancer mortality and 22% lower total mortality. Mortality is the number of deaths for a period of time in a specific population. The researchers recommend that people should reduce unhealthy refined carbohydrates in their diet and instead eat whole grain foods such as bran, quinoa and oatmeal that have at least 16 grams per serving. This study was published in PLOS Medicine (Satija et al., 2016). Previous PostHow To Fight These Six Food CravingsNext PostDoes Coffee Really Cause Cancer?